Entry-level Vantage now on par with more expensive DBS Superleggera. Aston Martin announced at Geneva it will to rival the Ferrari F8 Tributo and McLaren 720S. If you can’t wait until then, Wheelsandmore has given the a significant power boost. Wisely, the German tuner has opted to leave the Vantage’s beautiful bodywork alone and focused purely on performance. As standard, the Vantage is powered by an AMG-sourced 4.0-liter twin-turbo V8 that produces 503 hp and 505 lb-ft of torque. 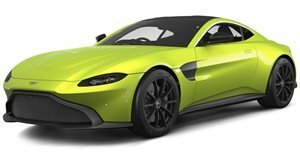 Since Wheelsandmore already gained experience tweaking the M177 DE engine from the C63 AMG and AMG GT tuning programs, the tuner has managed to develop larger turbochargers, sport catalytic converters, and a valve flap exhaust system with corresponding software for the new Aston Martin Vantage. As a result, the modified Vantage now produces 680 hp and 604 lb-ft of torque, enabling the supercar to accelerate from 0-62 mph in just 3.3 seconds and hit a top speed of over 205 mph. This puts the entry-level Vantage’s performance nearly on a par with the more expensive DBS Superleggera. While Wheelsandmore hasn’t modified the exterior, the custom Vantage sits on high-performance forged wheels available in 21 or 22 inches. Both models can be configured either in 9.5x21 and 11.5x21 inches with matching tires in sizes 265/35/21 and 315/30/21, or in 10.0x22 inches with 265/30/22 tires and 12.0x22 inches with 315/25/22 tires on the rear axle.